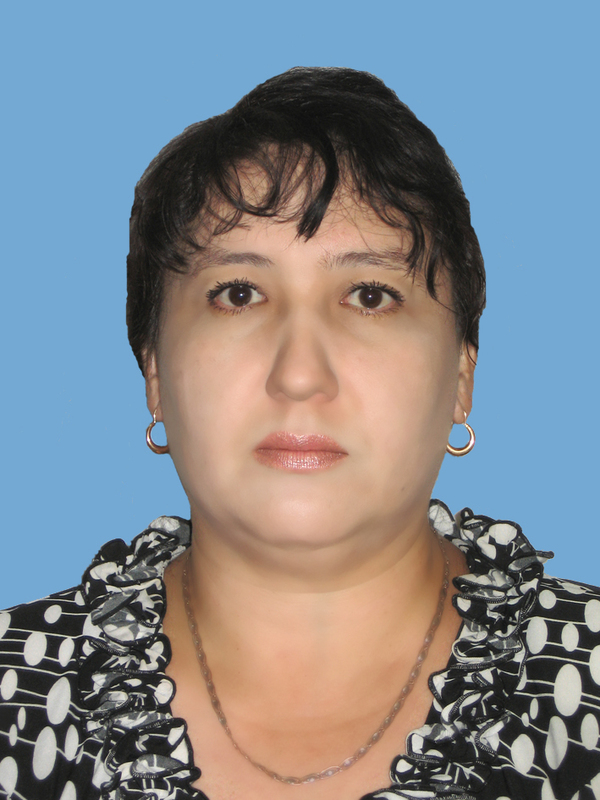 In 1992 she graduated from Karaganda Polytechnic Institute with a degree in Mining Machines and Equipment. In 1993 she worked as a teacher of special disciplines in vocational school-44. In 1994 she entered of “Theoretical Mechanics” chair as a teacher. I teach theoretical mechanics. In 2004 she graduated from advanced training courses on the theory of mechanisms and machines at KazNTU Almaty, received a certificate. In 2005 she was transferred as a senior lecturer of “Theoretical Mechanics” chair. I teach the theory of mechanisms and machines in all specialties undergoing this discipline in the state language, theoretical mechanics, applied mechanics, engineering mechanics, mechanics in the state language, Russian language. In 2011-12 she passed the advanced training course of the Kazakh language at KSTU, received a certificate. In 2012-13 she passed a two-week internship at the Institute KazMIRR at KSTU, received a certificate. In 2013-14 she graduated from a full computer literacy “Program to reduce information inequality in the Republic of Kazakhstan”, received a certificate. She released seven textbooks in co-authorship, 40 guidelines, 20 articles, electronic educational resources (SL, BV, IV), Teacher training complex.